Home » Original 100 Days Series » Day 5: Chocolate and Mocha Cravings! So far, everyone seems to be fine and not missing a thing, except for me. I have never been on much of a diet in my life so I am new at having to restrict myself from certain foods. I am managing, but often thinking of how I might be able to get my chocolate and mocha fix. My husband said that he’s heard of people trying to replace one addiction with another. That sounded a little familiar when the other day I actually contemplated a glass of red wine after LUNCH to fulfill my need for some chocolate! I think a mom drinking in the middle of the day is probably worse than eating processed food, so I had no other choice than just to push through. Do you think the cravings will go away after a while? I certainly hope so. In the meantime, I decided yesterday that I was going to make some cookies! Yay cookies! Maybe that would satisfy my growing craving for something sweet. So I tried making some modified “cookies” without using any sugar or chocolate. Were they good? Considering the fact that I have probably gone the longest period of my life without eating sweets, yes they were pretty good. But, compared to the regular chocolate chip cookies I make? Not so much. My husband and daughters thought the honey nut cookies were wonderful, and the three of them seemed to be very satisfied. I, on the other hand, will just have to keep trying to find something that I consider to be a good substitute…I have 95 days left to figure it out! On another note we had a great dinner last night. When we first started cutting processed food out of our diet I just had this image of us starving…but that couldn’t be farther from the truth! 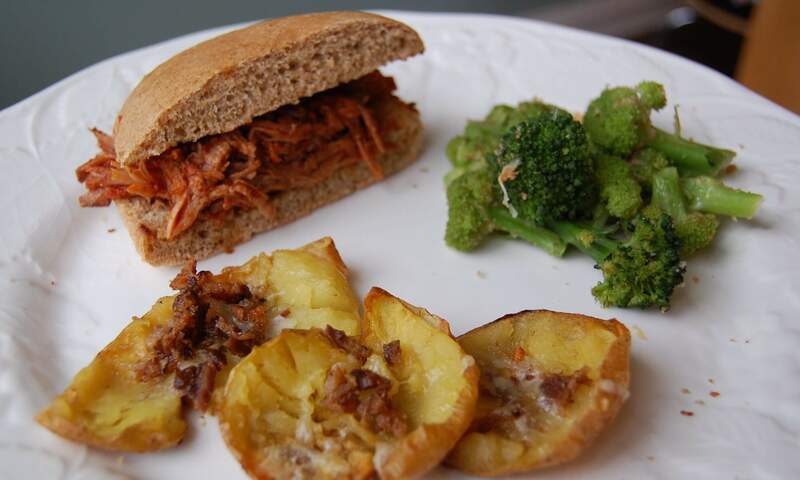 Yesterday we prepared a modified version of my pulled pork BBQ recipe served on honey whole-wheat buns (from Great Harvest) with broccoli and a very special treat of potato skins! We got these little potatoes from the farmer’s market last weekend and it suddenly dawned on me that potato skins would be so yummy. Jason and I both felt like we were cheating with the potato skins by eating junk food, but it was approved and oh-so-good! Although, we will of course only eat such starchy vegetables cooked in butter in moderation. No matter the rules, we must also follow common sense and ensure a diet with lots of variety. I would love to see you find a recipe for home-made chocolate. Surely there’s a pure organic cocoa source out there, right? I actually found some unsweetened chocolate (100% cacao) and made some cookies with it tonight. I think this batch will do the trick to get me through the rest of our pledge! I will post. Hi – if you haven’t yet discovered coconut palm sugar – you must! I think it fits your rules (it is less processed than sugar and actually has some nutrients in it) and when swapped out 1 to 1 for sugar, it’s fabulous. I’ve started using it in my cookie and muffin recipes and no one can tell. I even made homemade pudding and gelatin recently and used palm sugar with no problems. You can buy it at whole foods or online at amazon.com. either spread on a platter & cut into pieces or form into balls. eat with a big smile on your face. I will definitely try that recipe…thank you! So far the cacao cookies and cacao mocha I have been experimenting with have helped to satisfy my cravings. I am so glad we are doing these 100 days because otherwise I would have never tried some of this stuff! How about some fruti with honey in it on goat cheese with nuts? I find this a helpful whole foods indulgence. Can you have raw cocoa nibs? Thanks for the tip! I have never had raw cocoa nibs…where do you find it and what do you do with it? I regularly have a glass of wine with LUNCH….does this make me a bad mom? I don’t think there is anything wrong with 1 glass for some people! I personally get very sleepy and start feeling the effects after just 1 glass so I definitely cannot handle alcohol during the day like some people can. I used to make yummy pulled pork in the slow cooker, but when you taught me to read ingredients, I realized the first ingredient in the store bought BBQ sauce was High Fructose Corn Syrup! What a surprise…do you make your own bbq sauce for pulled pork? I know the store-bought BBQ sauces are awful. (good for you for figuring that out!) I do make my own BBQ sauce and hope to have a recipe I can share at some point. I’m just starting to read your blog … love it! I notice on this day you made potato skins with butter. Maybe you address this issue elsewhere, but what kind of butter are you using? I’m an avid label reader, but never thought to read the label of BUTTER! Until the other day … when I discovered that “natural flavorings” are in the ingredient list (and they aren’t all that natural.) Today I found Kerrygold Irish unsalted butter at my local Fresh Market … cream and nothing else in the ingredient list! Yes, we just use organic butter that’s preferably from grass-fed or pastured cows. Simple is the way to go! I couldn’t believe it when I read the ingredient list on a couple brands of ORGANIC unsalted butter, and they too had “natural flavorings.” Just shows you have to read ALL labels! I found that ingredient also in the brand of fruit spread I usually buy, so today found a different brand without it. Who knew you couldn’t trust the term “natural flavorings”??!! What is your recipe for pulled pork sandwhiches? I have been craving one for so long! I don’t have a pulled pork recipe that’s ready to be shared at this time…sorry about that! Hi, I am enjoying traipsing through your blog. For the most part our family stays away from highly processed foods, or so I thought. We do eat boxed cereals and store bought bread and tortillas. But looking around you have some great alternatives to try (tho hubby may not jump on board). You were mentioning your mocha and chocolate cravings. I found this product called Teecchino. I enjoy the hazelnut flavor. I am a BIG sweet drinker. usually have to have cream and flavor and sweetener big time. But with the Hazelnut and Mocha flavors, YUMMY! and I dont add anything to it. Best of all, it is a no caff product and gluten free. Not that I need that. But I have read how caffeine can play havoc on the nervous system. Green tea is another sweet beverage for those who seem to crave sodas during your challenge. Thanks for all your work on here. Hopefully you will see me around more. 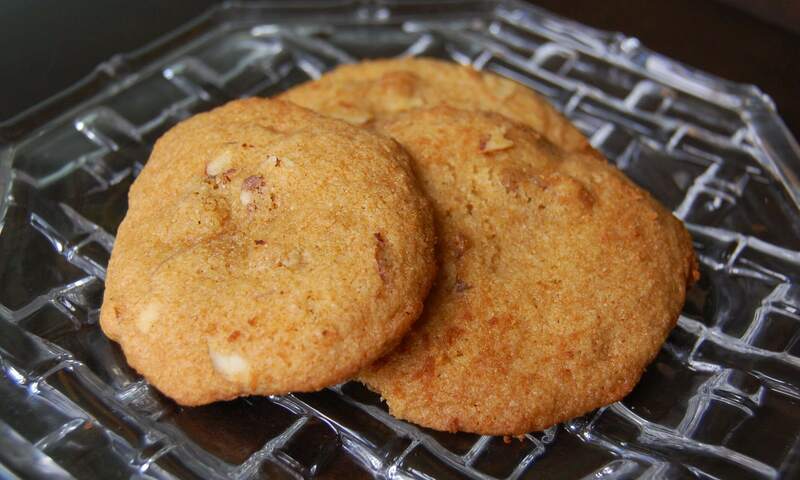 Hi, I am wondering, can you post your recipe for the honey nut cookies please? You say you didn’t use sugar. I’m interested to see what you used instead. Hi! I’m in the middle of the 10-day challenge. 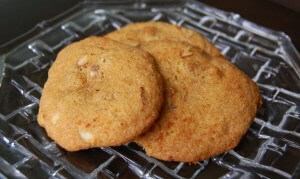 I would love to see a recipe, even a loose one, for the honey-nut “modified” cookies you made! How did you do it? Thanks! Hello! This is the first time I have heard of your 100 day challenge from eating processed foods. I saw your story on Good Morning America last week, I think. My husband and I want to eat healthier, so I try to do that daily, but it is hard when you enjoy baking goodies for others. I lIke to experiment, so I will see! What do you think about Food for Life’s Ezekiel 4:9 bread? It’s what I’ve been eating in my quest for less highly processed food, but not sure if it is truly a good choice. I would appreciate your opinion!